Celebrations are the most memorable part of life. Some special occasions and days of life are transformed into parties. To mark these special occasions you buy gifts and presents. 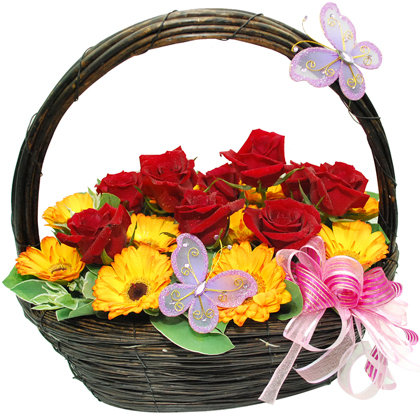 This exquisite basket of red Roses and Yellow Gerberas will add love and happiness in your celebrations.